Social media illustrations centred around the 2018 World Cup in Russia. The first illustration shows the teams left behind having to watch the action from the comfort of a sofa. 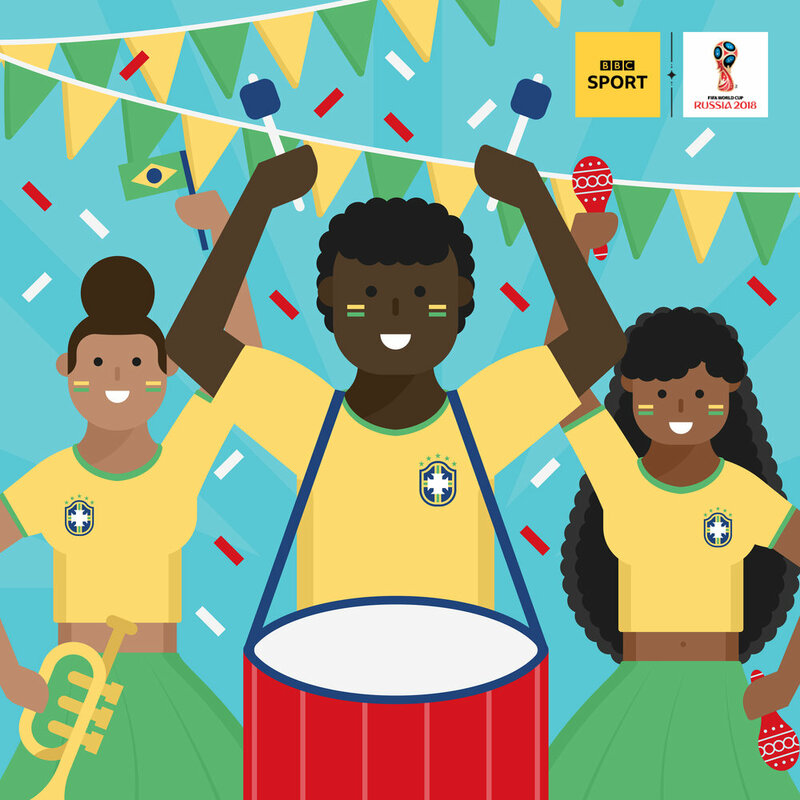 The second illustration shows the celebrations on the streets of Brazil after they made it through to the knock-out stages.